If you want a quiet, calming, sea-side retreat this is the house for you. 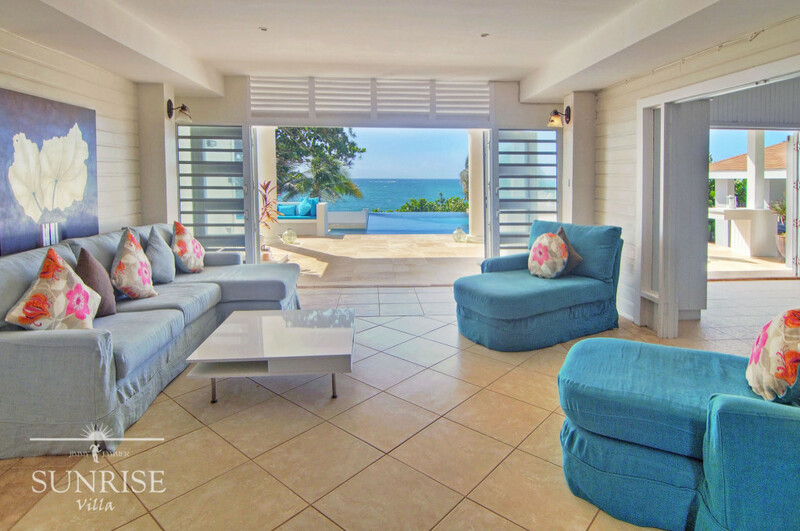 The newly renovated villa is right on the waters edge of the rocky, dramatic coastline of Grenada. JJ Sunrise Villa is surrounded by beautifully landscaped gardens filled with tropical plants and shrubs. There is a lovely grassy lawn ideal for suntanning or laying in the hammock with a good book. 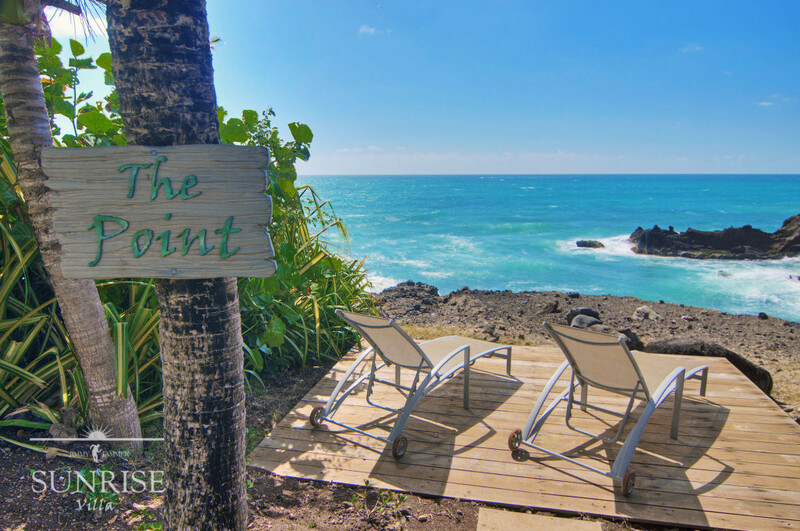 The Point is one of our special areas to relax and enjoy a sundowner. The newest addition to the villa is our beautiful infinity pool. This villa is aptly named as the views from the spacious covered veranda are spectacular. The villa is well situated to always have a nice tropical breeze. Comfortably accommodating up to 8 guests the villa offers a wonderful outside space, ideal for dining, entertaining and cocktails. With an airy tropical-style and unobstructed views the villa has a very spacious gourmet kitchen adjoining the living room area, and three comfortable air-conditioned bedrooms on the main floor. On the second floor of the villa is the large master bedroom with a lovely private veranda overlooking the sea.